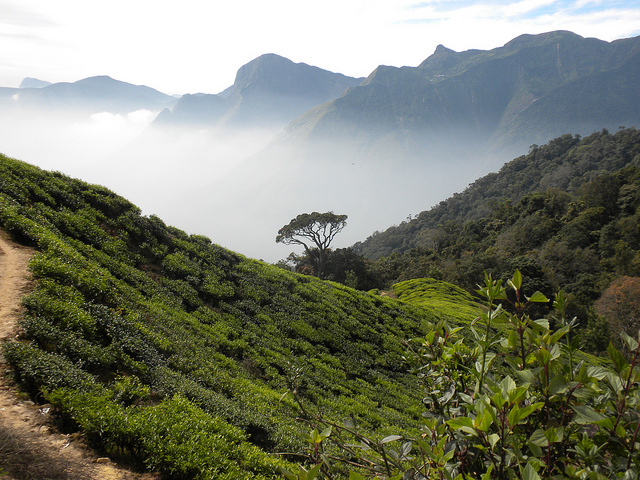 Munnar, the erstwhile retreat of the British is now one of India’s most loved hill stations. Set at an altitude of 6000 ft in Idukki district, Munnar is one of the major attractive tourist destinations in Kerala. Munnar is situated at the confluence of three mountain streams – Mudrapuzha, Nallathanni and Kundala. This hill station is recommended by Kerala tour operators/Kerala tourism board. Mattupetty Mattupetty is situated at a height of 1700 m above sea level. Mattupetty Dam and Lake is a beautiful picnic spot with the panoramic view of the tea plantations and the lake. Echo Point Echo Point has a natural echo phenomenon and offers panoramic views. Rajamala Rajamala It is the natural habitat of Nilgiri Tahr. Half the world population of this rare mountain goat is found here, which is fast becoming endanger species. Anamudi The highest peak (around 2700 m) south of the Himalayas Towers over the sanctuary in majestic pride. The slopes of the hills abound in all kinds of rare flora and fauna. The Atlas moth, the largest of its kind in the world, is a unique inhabitant of the park. A sanctuary for the endangered mountain goat of South India, the Nilgiri Tahr, the Eravikulam National Park stands out for the stark beauty of its rolling grasslands and sholas, spread over 97 sq km in the Rajamalai hills.